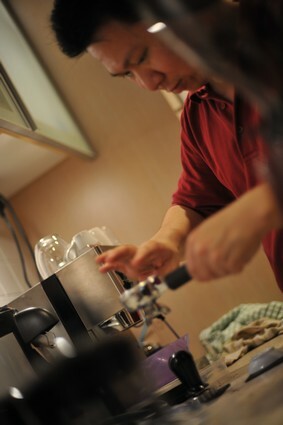 Couple of weeks ago, we had a Barista Jam at Irving’s place. 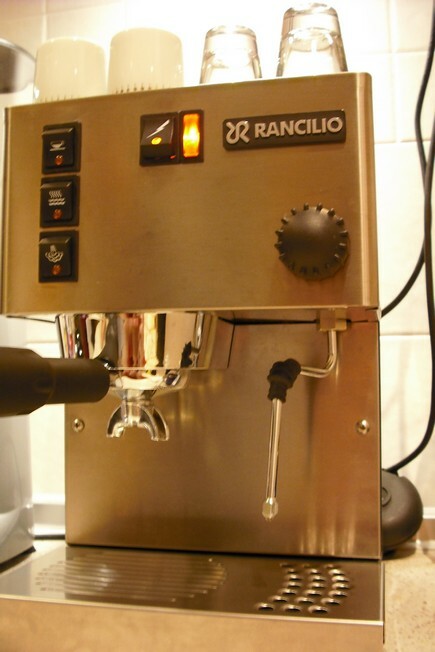 He is the proud owner of a new Rancilio Silvia and Compak Doserless grinder. Also there were Weechuan, Joseph and myself. I shall let the photos speak for themselves. Levelinga nd tamping. 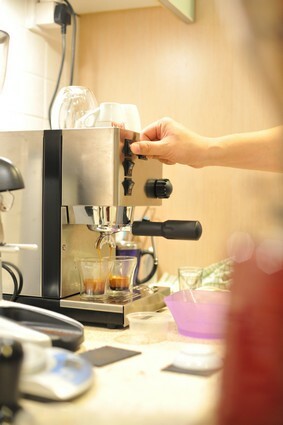 Crucial steps to perform correctly in preparing espresso. 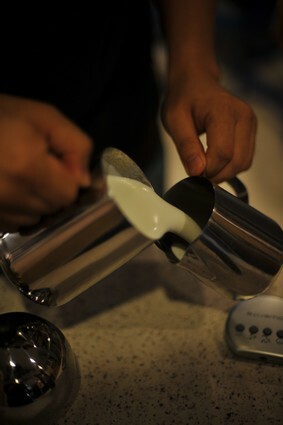 Look at the crema of freshly roasted coffee. 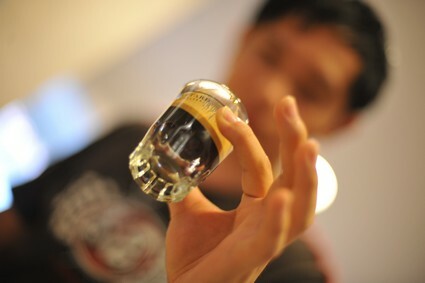 Wee Chuan holding up a shot of espresso. 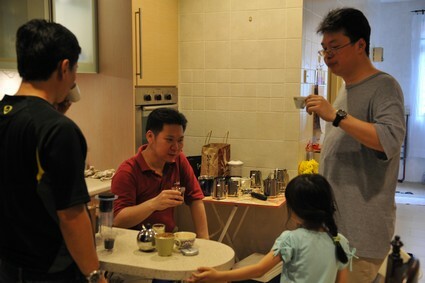 Wee Chuan distributing velvety microfoamed milk. 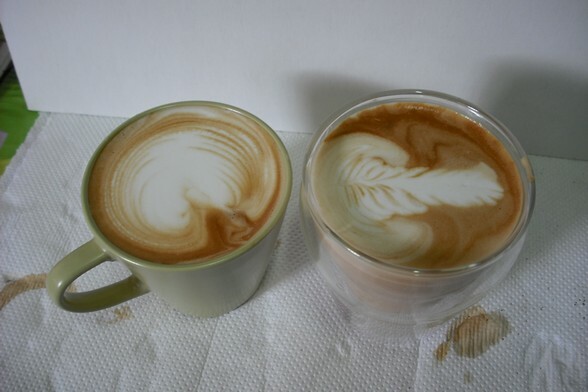 Did I mentioned that Wee Chuan is a Latte Artist? Too good to drink? Given a choice, would you want these or $bucks? 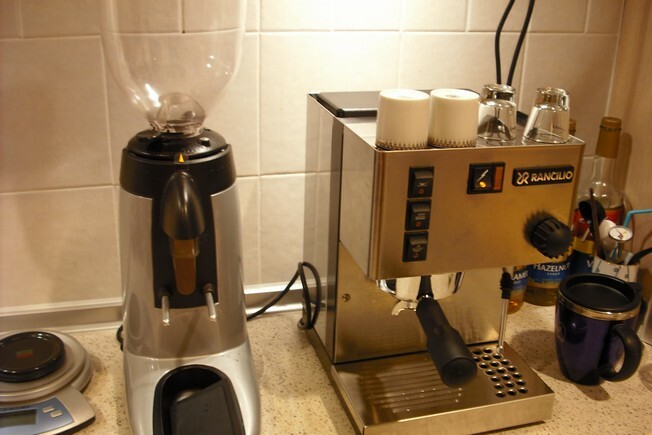 Really affordable way to enjoyed freshly roasted coffee. All coffee lovers here (and a cute coffee lover in training?) and Joseph is behind the lens. 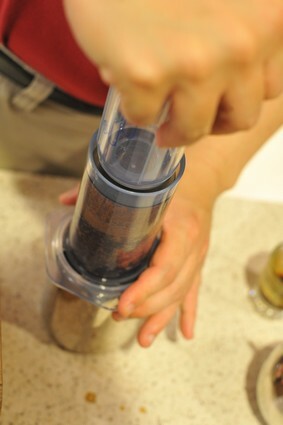 This entry was posted in Aeropress, Barista, Cappuccino, Coffee, Coffee Beans, Coffee Lover, espresso, grinder, Kuala Lumpur, latteart, Malaysia, Rancilio Silvia on November 24, 2008 by KF Chan. 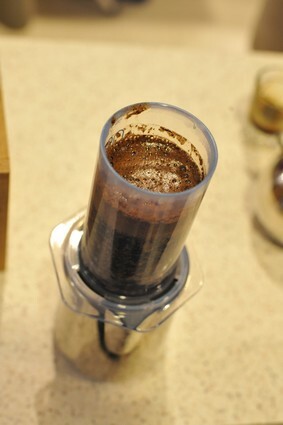 Fortunately, 2 friends just ame back from Australia and got me some lovely espresso blend. 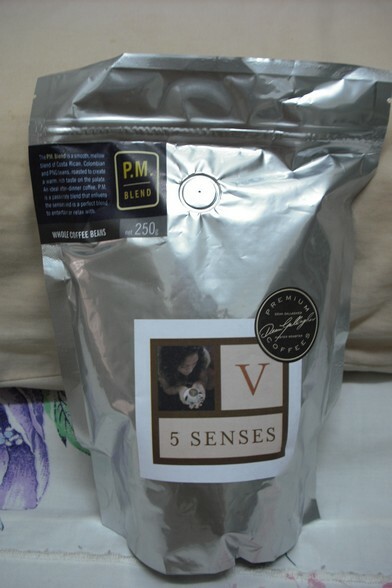 From Fivesenses: Brazil Blue blend and the PM blend (now known as Harvest blend). 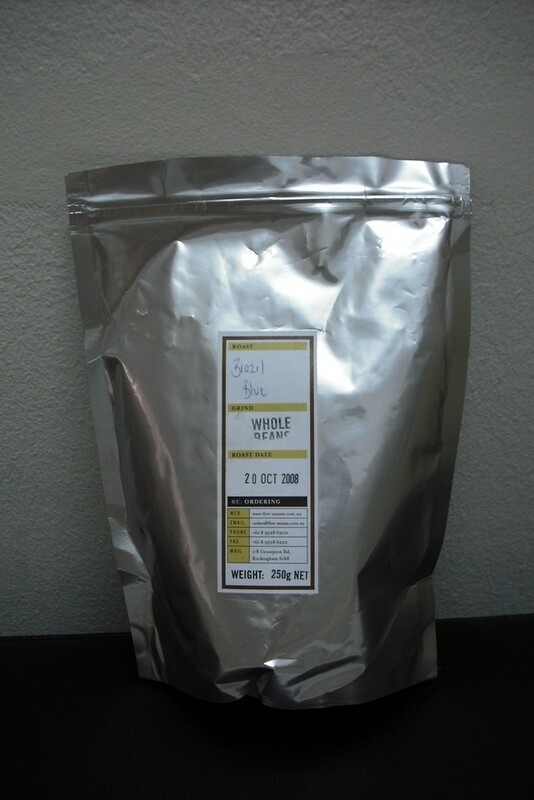 Greeted by a good depth and a slightly syrupy aroma, this blend urges you to taste further. With a heavy body and a medium-light mouthfeel, its glorious mild sweetness rolls on the tongue, leaving the soft flavours of golden syrup and a gentle sweetness. Think warm toast slathered with golden syrup on a winter’s day, inhale its almond sweetness and savour the dry nuttiness of the finish. With a well-rounded aftertaste, this is a blend to enjoy. On imbibing a cup of the delicious Harvest, you’re greeted by wonderful aromas of dried fruit and citrus, accompanied by tantalizing hints of timber. Drenched in honey and caramel, this blend is a sensory feast. These flavours are followed by a welcoming bright citrus acidity, which mellows out to a truly pleasant sweetness. Harvest has a delicate, smooth mouthfeel and body, allowing for a great cup, however it’s served. 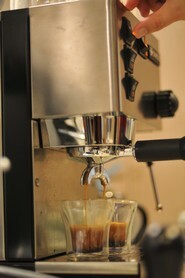 It’s quite bright through espresso with an almost marmalade flavour, and a long lasting, rich aftertaste. The initially sweet caramels fade into a dry nutty mouthfeel. Five Senses Coffee quality is top notch. Their Epic Espresso Blend is one of the best I have ever tasted. Both the Brazil and PM are also very good. As I am still learning at the learning stage in how to properly describe taste profile, I left you with their own cupping notes instead. Overall, most of these high quality beans are roasted to medium dark. They are very different from our local kopitiam style (or charcoal style). To me, they are bright, fruity and sweet. 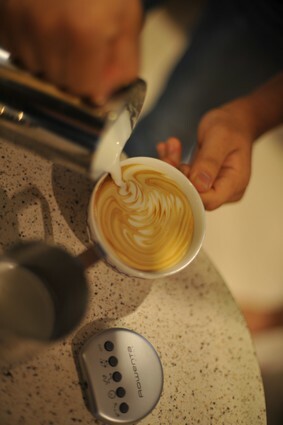 They are intense, aromatic and flavourful as espresso. I enjoy them even more in Americano style. 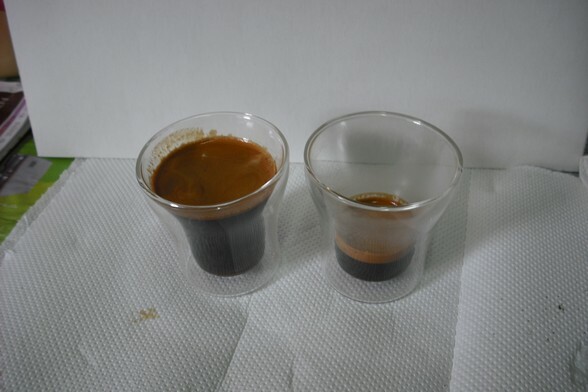 Adding 3 parts water to 1 part espresso, mellowed out the intensity and I am able to separate out the flavour even more, where the sweetness and fruitiness became more pronouced. 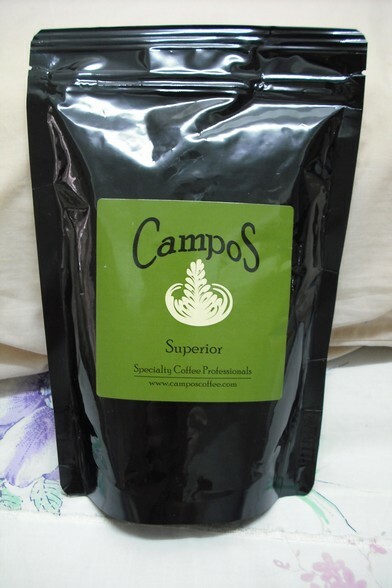 From Campos Coffee: The Obama Blend and Superior. For those looking for change. Great depth of character, strong, and eloquent. 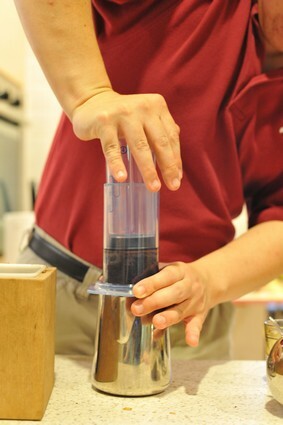 This very appealing blend unites coffees from Africa and the Americas to produce a cup which has gotten us excited. Formidable middle palate flavours, syrupy with an uplifting finish. Excellent drink for going forward. Our flagship blend and winner of the 2006 Equal ® Golden Bean Award. 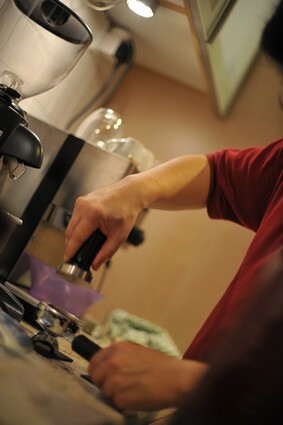 A True Specialty Coffee Blend. Dominant caramel intonations with fruit highlights of apricots and blueberries. Rich and creamy body. Fantastic dimension. With all the craze over the US New President Elect, many roaster celebrated the new era with their Obama’s blend. 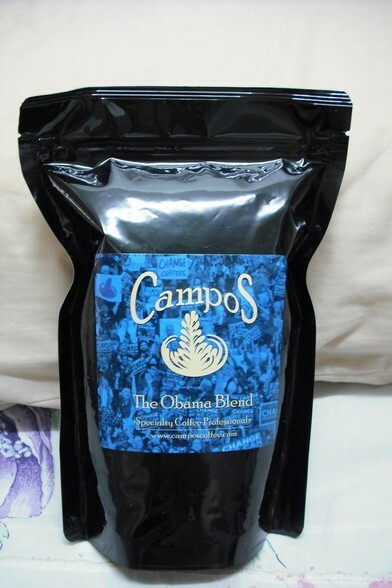 And this Obama blend is very decent. Flavourful and uplifting. As I mentioned above, most of these quality beans are not very dark roasted. Hence, generally they are more acidic and bright. I like them a lot in espresspo and americano. But they are not that great for cappuccino. They don’t seems to cut through the milk enough for my preference. 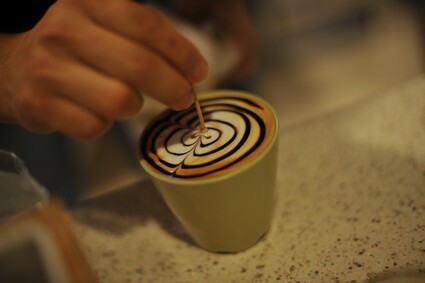 I will do a post later on my favourite cappuccino blend. Left side is the americano in 3 parts water and 1 part ristretto. 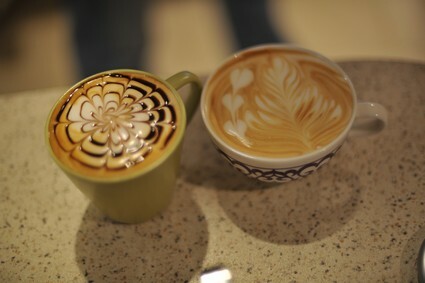 On the right is a single ristretto. 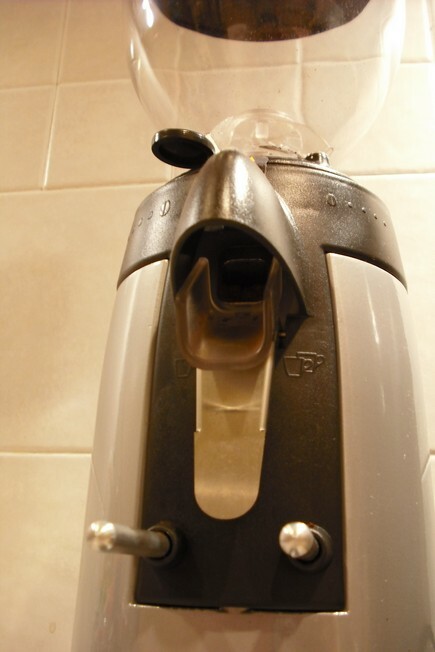 This entry was posted in Americano, Cappuccino, Coffee, Coffee Beans, Costa Rica, espresso, Malaysia, Obama, Ristretto on November 23, 2008 by KF Chan.